Suggests 'companion species' as an alternative to the cyborg for thinking about how we humans coevolve with technology, and talks at length about dogs to illustrate the complexities of such an approach. 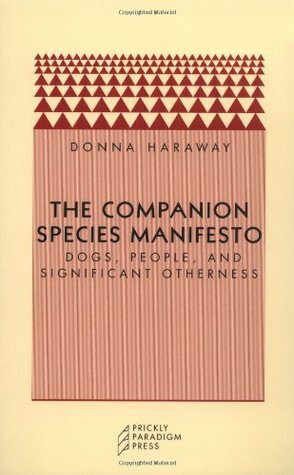 I like dogs so I enjoyed this, but Haraway could have done more to help readers connect her dog stories to larger issues. In the other hand that might be too much to ask from a 100 page manifesto. Sign into Goodreads to see if any of your friends have read The Companion Species Manifesto.